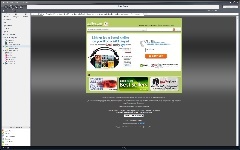 JRiver can provide a customized media player, optimized for your business. 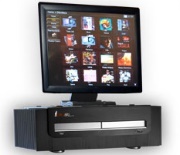 It can include music, audio book, video, TV, or photo features. 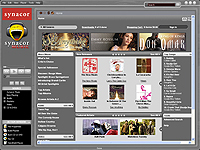 JRiver provides unparalleled support for hardware devices. For more information, click here. Or contact Jim Hillegass jimh @ jriver.com (612) 677 8200 x203. 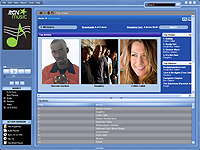 Digibit (Spain) makes several music products. 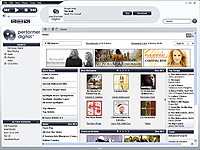 The family of SONATA music servers has been specifically designed to meet the needs of classical music fans, while still supporting the other musical genres. Pasito Tunes operates through La Curacao, which is best known as a growing chain of large format department stores with a Hispanic focus. The company ranks among the top US electronics and appliance retailers, and offers a wide variety of services that are of special interest to the Latino community, which is the fastest growing demographic in the United States. Charter Communications, Inc. the third-largest publicly traded cable operator in the U.S., serves approximately 5.7 million customers in 29 states. A Fortune 500 company, Charter is headquartered in St. Louis, Missouri, and its stock is traded on the NASDAQ stock exchange under the symbol CHTR. The company’s chairman and largest shareholder is Paul G. Allen, co-founder of Microsoft. 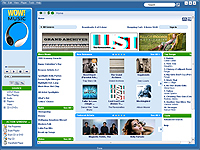 GospelDepot.com. is provided by Ways & Means Entertainment, a company dedicated to creating faith-based initiatives. 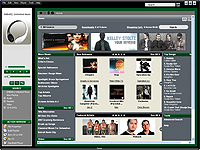 The services offers Christian/Gospel-based fully customized digital music subscription service with unlimited downloads, along with the ability to access users’ music and video collections both on PCs and portable devices. WideOpenWest is the 13th largest cable company in the US with over 350,000 subscribers. The company provides cable television, high-speed data and digital telephony services to its customers. 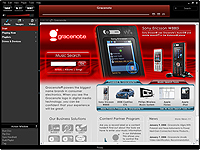 Gracenote is a global leader in embedded technology, enriched content, and data services for digital entertainment solutions within the Internet, consumer electronics, mobile, and automotive markets. Chunghwa Telecom and Avex An integrated telecommunications services company in Taiwan offers the music of one of Japan's largest record labels. Chungwha has $5 billion in annual sales. Atlantic Broadband is a top 20 cable operator with 285,000 customers in four operating regions: Florida, Maryland/Delaware, South Carolina and Western Pennsylvania. 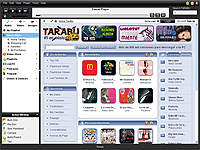 Embarq innovative telecommunications company with 7 million customers in 18 U.S. states. 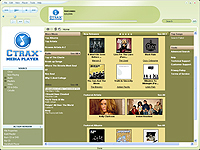 SONY distributes the Esmas Player with every Sony laptop computer sold in Central America, South America, and Mexico. 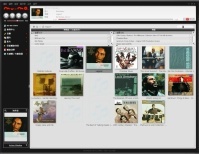 RCN distributes a JRiver player with their new online music store. 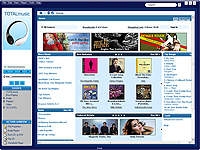 Road Runner/Time Warner the cable giant offers customers music downloads and subscription. 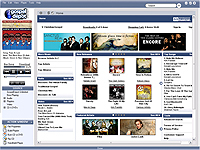 FYE Downloads Unlimited This retailer expands into online distribution of digital music. Synacor is a top B2B content and services provider, bringing scaleable delivery of digital media to ISP's and cable network customers. 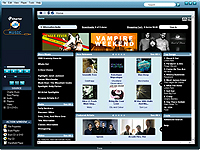 Cdigix, provider of digital entertainment to the college market. EsMas Player - Televisa the premier Spanish-language media portal launches its digital entertainment platform, providing a music store, video-on-demand, and innovative live TV programming. Performer Digital - MediaNet digital is the world's leading provider of B2B digital entertainment services. 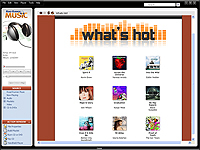 Offering white label technologies in video and music for world-class consumer brands.